It is always a good practice to know how the sizing of the motor has been done (just the right size or oversized etc. ).Then find out what kind of application you have (square torque for centrifugal pumps and fans, Constant torque for applications such as conveyors hoist etc. )There could be a constant power application too (but many treat this as a constant torque when it comes to sizing. Now you can compare the motors rated current with the variable frequency drives rated current (continuous current). It needs to be more than the rated current of the motor (unless you have an oversized motor for the application). A constant torque application would normally require at least 1.5times overload ability with some repeatability. However the factor purely depends on the actual overload demanded by the application and it's duty cycle. By duty cycle we mean the time distribution between continuous current requirement and overload requirement during the normal operation of the VFD. If you are selecting a VFD for a squared torque application, then you could select a lightly duty variable frequency drive. But remember you are then not supposed to increase the speed beyond the designed fan/motor speed. Now you have to consider the network in which these VFDs are used. If you have a network which has a voltage lesser than the motors rated voltage, you may need to check if it is ok for the motor to take some additional current to deliver the same torque requirement. (If not taken care so well the motor could burn due to thermal overloading otherwise. I could find some good inputs from Tidbits too. Remember this is quite a vast subject and an expert needs to know the background. For example if you consider building automation then quantities such as EMC filter, communication capability, features such as PID, cable length etc. could turn out to be important. So be specific about your requirement while choose a VFD. How the motor output full torque with a VFD? 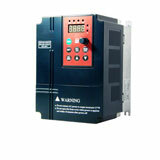 Buy Variable Frequency Drives (VFD) online, direct sale by manufacturer with wholesale price. What is Active Front End in variable frequency drive? Can I control multiple motors on one VFD? 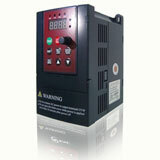 Is it VFD the best solution to control pump? Does the motor lifetime depend on the starts number & frequency?